In the previous blog post, I discussed a modest technique to “fix” the default process heap in order to prevent various Windows API functions from crashing, by replacing the corresponding field in PEB (Process Environment Block) with a freshly created heap. This of course assumes that the attacker has already achieved arbitrary code execution, or is at least able to use ROP and knows the base addresses of some vital system DLLs. 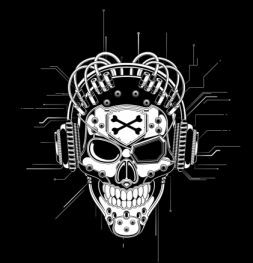 It is likely the last exploitation technique one would use before gaining full control over the vulnerable application or system, and was indeed used by Gynvael and me while wrapping up the exploitation of the easier challenge during this year’s DEF CON CTF qualifiers which took place in May. However, before we could even reach that stage, I had to overcome a few other significant obstacles, the hardest of which was converting the available primitives into a hijacked control flow. Following hours of trying to reproduce the same heap layout on the organizers’ and my own platform (exploiting the bugs was in fact the easiest part), I finally managed to achieve close to arbitrary memory read and write capabilities. By that point, I knew the location of the heap, the challenge image base and NTDLL.DLL image base, where I could freely read from and write to. On the other hand, the task itself did not make it easy to get controlled EIP even with such powerful primitives, as it didn’t store plain-text function pointers, virtual objects or any data directly controlling the execution flow on either the heap or in static memory. This meant that a generic technique had to be used instead. While the competition featured a great number of tasks to solve, including multiple pwnables in the CGC (Cyber Grand Challenge) formula, I must admit that I spent nearly the entire CTF working on a single challenge: a vulnerable Windows x86 executable called easier, authored by Thing2. After two full days of hacking by myself, and developing a ROP chain together with Gynvael for the last few hours, we managed to get the flag just in time – roughly 25 minutes before the end of the CTF. Overall, the problem was the second with fewest successful solves (completed by a total of 5 teams – PPP, DEFKOR, 9447, Samurai and Dragon Sector), and considering that it was available since the start of the contest (contrary to secrfrevenge), it was probably the most difficult challenge of all. The source code of the task is available on LegitBS’ github: here. If you are interested in reading a complete (but quite different than ours) solution of the 9447 team, check out the following article: Def Con Quals 2016 – Easier [Pwnable]. This blog has experienced a long time of inactivity, as I’ve recently used it only to publish slides from conferences I presented at, with many months-long breaks in between. I am planning to change things up and start posting again in the upcoming weeks, starting with this blog post, which I originally wrote in early 2014. I haven’t posted it back then, as the bug in the FreeType project discussed here motivated me to look at other implementations of PostScript fonts and CharStrings specifically, which eventually resulted in an extensive research, dozens of bugs fixed by Microsoft, Adobe and Oracle, five long blog posts on the Google Project Zero blog (see the “One font vulnerability to rule them all” series), two nominations, and one Pwnie Award. I didn’t want to spoil too much of what I was working on, and then just forgot about the post, but now that things have settled down on the font security front and I’m reactivating the blog, it is finally ready to go. Enjoy, and keep in mind the tenses in the article are used as if it was still 2014. :-) Some new parts I’ve added while dusting off the text are written in orange. The bug was also briefly discussed during my last year’s 44CON presentation, see here. At Google, we perform fuzz testing of a number of software targets: web browers, plugins, document viewers, open-source programs, libraries and more. A number of instances of our fuzzing efforts and their results have been documented in the past, see e.g. the “PDF fuzzing and Adobe Reader 9.5.1 and 10.1.3 multiple critical vulnerabilities”, “PDF Fuzzing Fun Continued: Status Update” or recent “FFmpeg and a thousand fixes” blog posts. 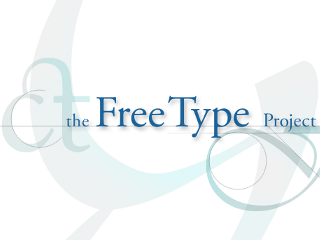 One of the targets we have spent a lot of time on is FreeType2, a popular open-source library written in C, designed for high quality font rendering. The library is used in many commonly used operating systems and applications, such as GNU/Linux (and other Unix derivatives like FreeBSD and NetBSD), iOS, Android or ChromeOS, and hence is a valuable target for attackers seeking to exploit any of the aforementioned platforms. The overall code quality of the Charstring interpreter function in ATMFD.DLL was badly low, with some bugs being clearly visible in the code at first glance. This implied that (surprisingly, considering the seemingly large amount of attention received from the security community) I entered a completely unexplored territory that others haven’t delved into, or at least publicly. The kernel module used the same interpreter for both Type 1 (Type 1 fonts) and Type 2 (OpenType/CFF fonts) Charstrings, and supported every single feature that has ever been part of the specification, and plenty of undocumented ones as well – bloating the size of the function to more than 20kB (!) on the x86 platform. While the conference was very well organized and had many interesting talks, the main event of the evening was only about to start at 18:00 – the CTF competition organized by the Insomni’hack crew, which attracted hundreds of players from all around the world, including many top teams from the CTF scene (e.g. StratumAuhuur, int3pids, dcua, penthackon, 0x8F). Since we really liked the finals from last year, Dragon Sector also came back in a large squad of 9 players; one of whom played in a different team due to a strict 8-person limit. We did our best to defend last year’s title (top 1) and eventually succeeded, but it was not an easy task for sure. The most intense moment was when the StratumAuhuur team submitted a flag 4 minutes before the end of the CTF (at 3:56:23 AM), closing our point advantage to only ~20 points, which was so close that it could have easily changed in favor of Stratum regardless of our actions (due to this year’s variable nature of tasks scoring, which accounted for the total number of teams solving each challenge). Fortunately, Gynvael and I were on a verge of solving another networking task at the time and barely managed to get it a little more than a minute before the end of the competition, consequently securing a win. The situation is well illustrated in the photo of the final ranking on the right. 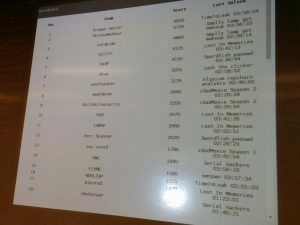 The organizers, SCRT, have also published their own summary of the CTF with a full ranking and some interesting stats: Insomni’hack finals – CTF results. [COFF] [DBG] Heap Memory Corruption due to Integer Underflow. [EPOC] 4-Byte Heap Buffer Overflow due to an Off-By-One in bounds checking. [DEX] Heap Buffer Overflow due to Integer Overflow. [PEF] Multiple (4) instances of Heap Buffer Overflows due to integer problems. [PEF] Heap Memory Corruption due to logical bugs in memory management. [UNIVERSAL] Heap Buffer Overflows due to logical bugs in memory management (BADMEMSIZE constant), exploitable via multiple file formats on Linux. Kudos to Ilfak Guilfanov and Hex-Rays for a very quick turnaround (less than two weeks from sending the reports to releasing bugfixes) and running the Bug Bounty Program! Keep up the good work! Just yesterday another edition of the largest and most successful IT security conference held in Poland – CONFidence – ended. 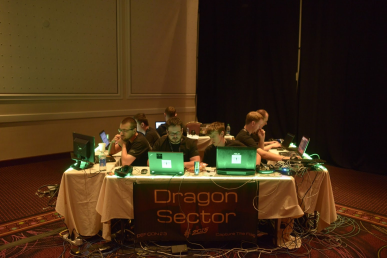 The Dragon Sector CTF team (which we founded and are running) actively participated in the organization of the event by hosting an onsite, individual CTF for the conference attendees and giving a talk about the most interesting challenges we have solved so far in our not too long CTF career. The final standings of the CONFidence 2014 CTF can be found below. We will also publish a more detailed summary, together with some or all of the challenges, on our official Dragon Sector blog within a few days. This post outlines the details of this low severity, but nevertheless interesting issue. (Collaborative post by Mateusz “j00ru” Jurczyk and Gynvael Coldwind; a short version is available at the Google Online Security blog). As this event clearly marks an important day in our ongoing fuzzing effort, we decided to provide you with some background on one of the activities we are currently working on.